Kelly had been silent on Twitter for months, but returned late Tuesday with a special message. The singer, who is currently plagued by legal issues and sexual misconduct allegations, tweeted a video of himself singing happy birthday to his daughter, Joann. "Happy birthday baby, daddy love you," Kelly said in the video. "No matter what I love you so much. MWAH." He was indicted last month on 10 counts of aggravated criminal sexual abuse -- a class 2 felony -- involving four alleged victims. MARCH 6, 2019 FILE PHOTO AP PROVIDES ACCESS TO THIS PUBLICLY DISTRIBUTED HANDOUT PHOTO PROVIDED BY COOK COUNTY SHERIFF’S OFFICE; MANDATORY CREDIT. 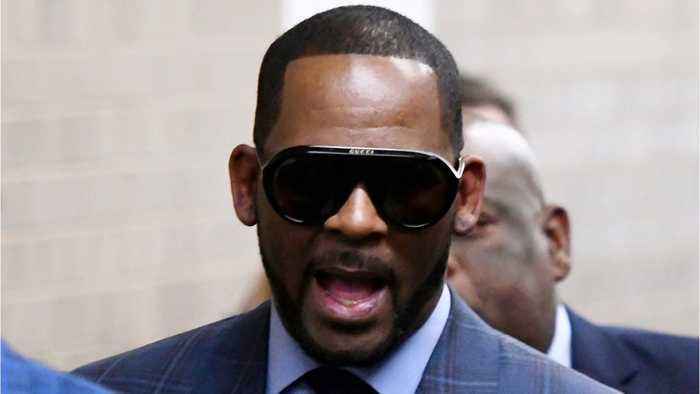 R. Kelly had been silent on Twitter for months, but returned late Tuesday with a special message. Travis Scott Loves to Spoil His Daughter The 26-year-old rapper splurged on a diamond necklace for 1-year-old daughter Stormi. Sources say the 'Sicko Mode' rapper is always spoiling Stormi, whose..